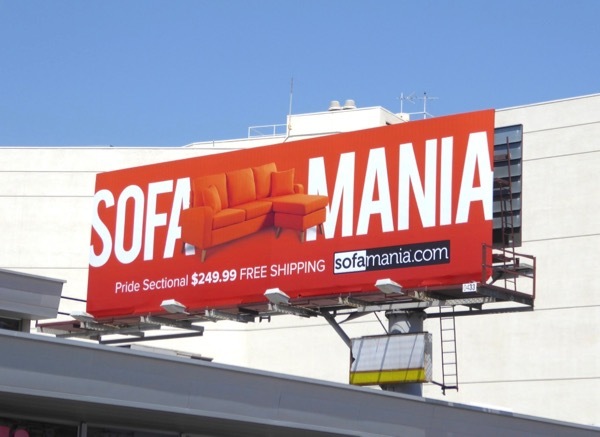 If you're using this weekend to go furniture hunting, then maybe you could have saved yourself the hassle by logging onto Sofamania's website for some contemporary and colourful couch and chair styles. 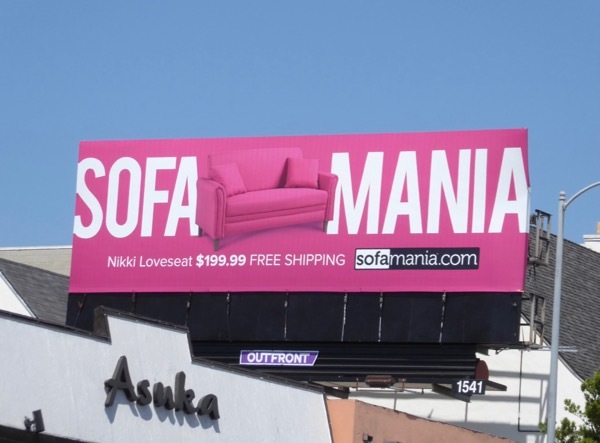 These bright designs may not suit every home, but they've certainly brought a burst of colour the city skyline this summer. 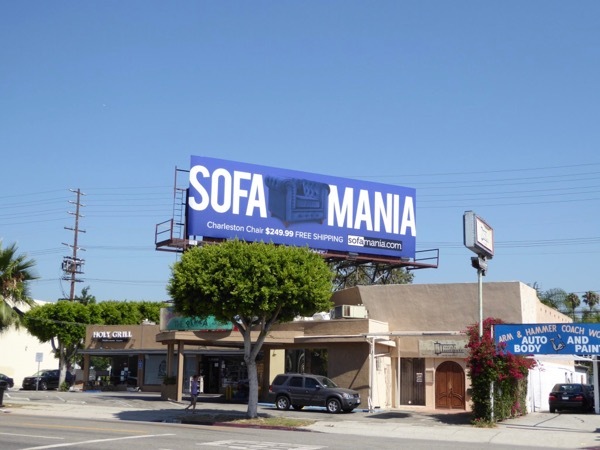 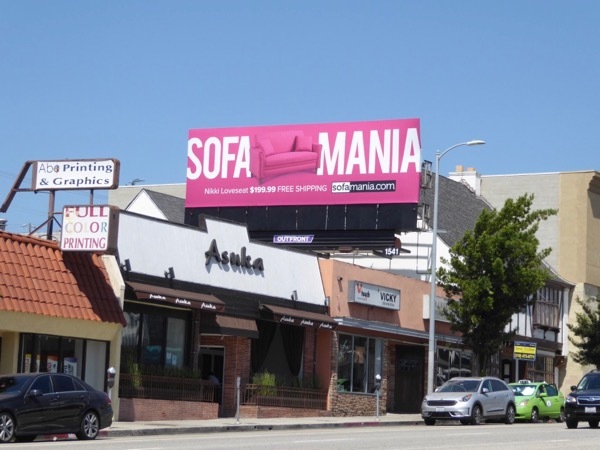 These vibrant Sofamania billboards were photographed along Pico Boulevard, La Cienega Boulevard and Westwood Boulevard on August 6, 2017. 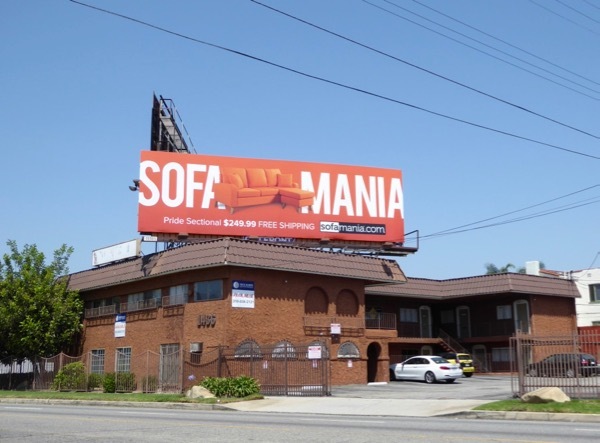 For another approach to advertising furnishings, make sure you also check out these JC Penney sofa billboards and these Move Loot used furniture billboards. 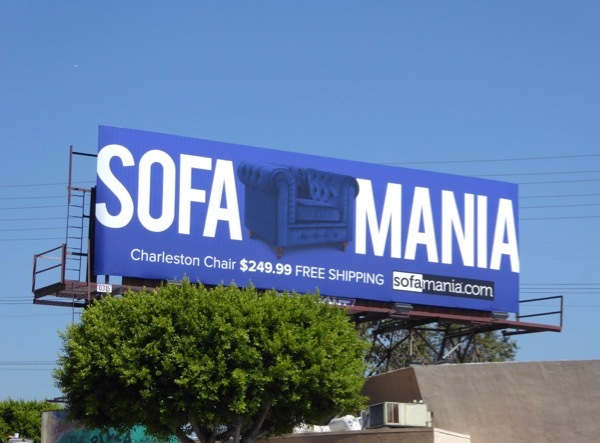 Whether it's settees, love seats, futons, or sectional sofas, it looks like the answer may be at your finger tips (although there's nothing quite like sitting on something to make sure it'll be suitable for your derrière).